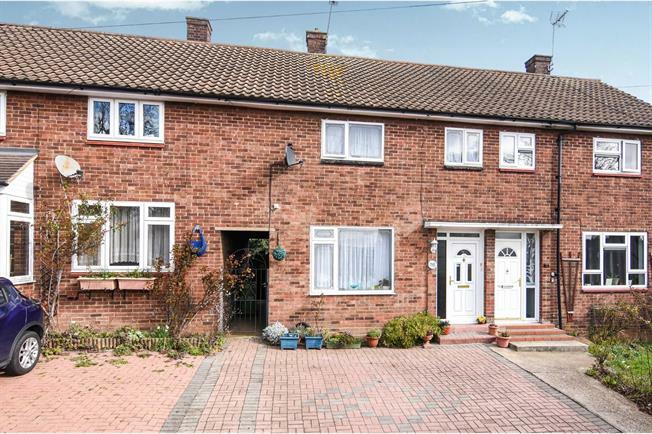 2 Bedroom Terraced House For Sale in Romford for Offers in excess of £300,000. This well presented two bedroom house situated within close proximity to bus stops and Harold wood station is perfect for any first time buyers or investors. Internally this property to the ground floor benefits from a good sized lounge, and fully fitted kitchen. The first floor of the home is made up of two generously sized bedrooms and separate bath and toilet. Externally to the front the property has off street parking for 2 cars and a well presented, east to maintain garden.